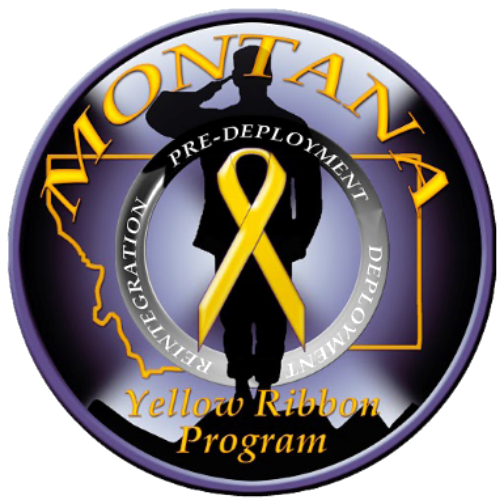 The Montana National Guard Yellow Ribbon Reintegration Program provides information, services, and referrals to service members of all military branches, families and significant others throughout the entire deployment cycle. In January of 2009 the MTNG implemented the YRRP based on the Department of Defense mandate and Public Law 110-181 (Sec 582). This law mandates all National Guard members to go through the Pre-Deployment and Post-Deployment Yellow Ribbon Events. Family members that provide personal support to deployed service members are strongly encouraged to attend the events. The YRRP works hand-in-hand with a variety of state and federal organizations to ensure service members and their families receive deployment information and the benefits available to assist in deployment and reintegration.